With five campuses in Paarl, Strand, Worcester, Stellenbosch and Caledon, Boland College is situated in the jewels of the Western Cape surrounded by undisturbed natural splendour and communities with character. Seeking entertainment and maintaining a vibrant social life is never an obstacle for these towns. The Western Cape Education Department transformed 15 existing colleges into six mega Further Education and Training (FET) and the Boland College as we know it today, is a result of it. 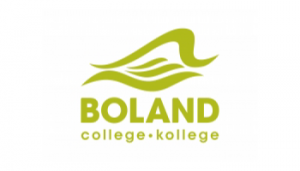 Boland College (BC) serves a widespread, rural geographical area known as the Boland region. The provincial demographics show that the Western Cape population is a fairly young population with 65 % of its occupants being under the age of 35 years. Not only do the five campuses open up doors for various students, but Boland College also has 9 faculties to study in any field your heart desires.